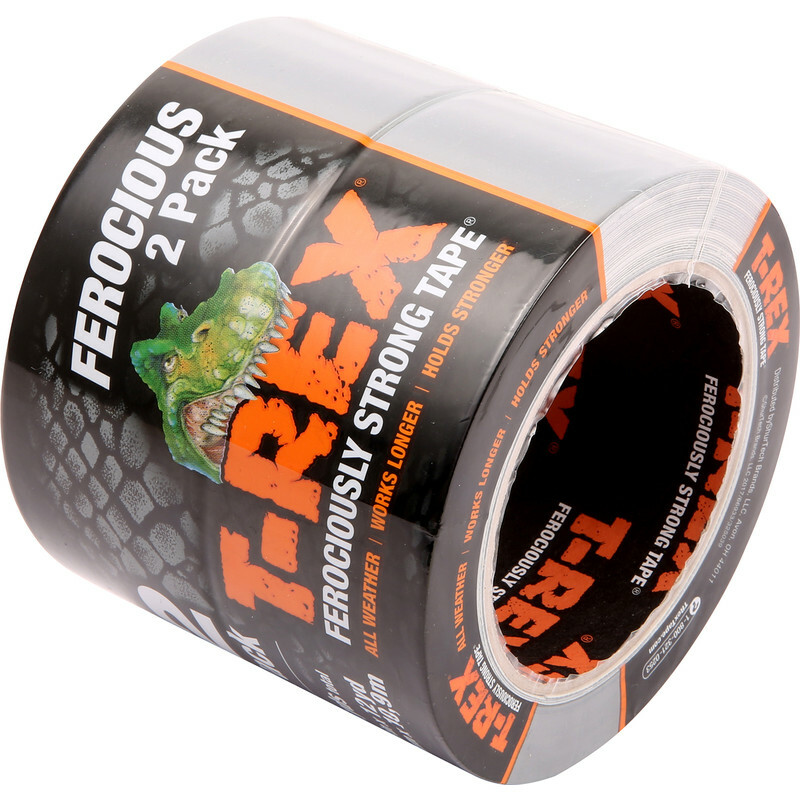 Ferociously strong tape holds stronger than standard duct tape. UV and weather resistant for long lasting repairs that ordinary tapes can't handle. Can be used on rough and dirty surfaces. T-Rex Cloth Duct Tape Twin Pack Grey 48mm x 11m (2 Pack) is rated 5.0 out of 5 by 2. Rated 5 out of 5 by nanomac from Great sticky tape Excellent for joining underlay and used as a temporary fix for carpet offcuts in a storage area.